Happy Birthday to us! 140 years old today. This week signals a momentous occasion for Swanage RNLI, as the station celebrates its 140th anniversary. While celebrating the station’s rich heritage, it’s a poignant time to look to the future as plans move further forward for the arrival of Swanage’s new Shannon class lifeboat next year. 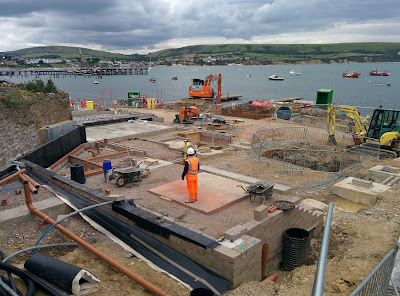 Swanage lifeboat station was established in 1875 at the request of the local residents as a result of the wreck of the brig Wild Wave on 23 January 1875. 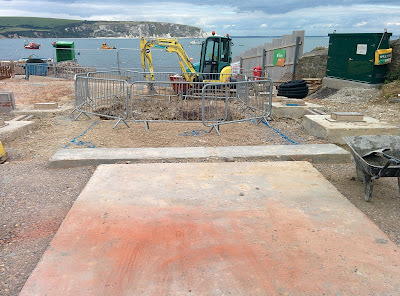 This sparked an urgent need for a dedicated lifeboat service on this stretch of coastline and as a result Swanage lifeboat was established on 16 September 1875. The station has had numerous lifeboats in its time and is currently home to a Mersey class lifeboat Robert Charles Brown, and a D class inshore lifeboat Phyl and Jack. In 140 years, Swanage lifeboats have launched 2,472 times, carried out 1871 rescues and saved 752 lives. 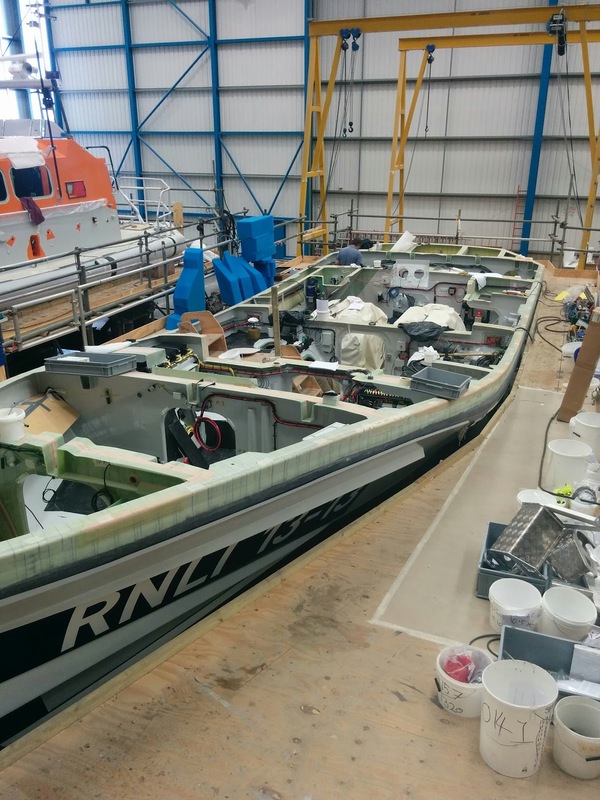 Next year the station is due to receive a new state-of-the-art Shannon class lifeboat to replace its current Mersey class. 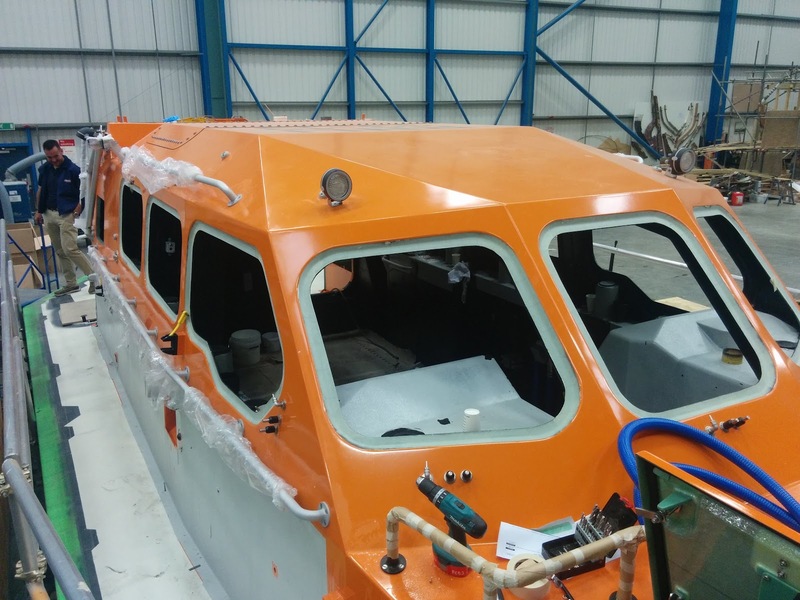 The lifeboat is to be named George Thomas Lacy, following a generous legacy left by Mr George Lacy for use by the RNLI on the Dorset coast. 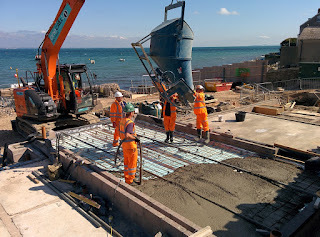 Due to the size of the Shannon class, building work is currently underway for a new lifeboat station and slipway for the lifeboat to launch from. The new station will provide much improved facilities for the volunteer crew including a crew changing and shower room, a fully-equipped crew training room, mechanics workshop, office space and a boathouse for both lifeboats. 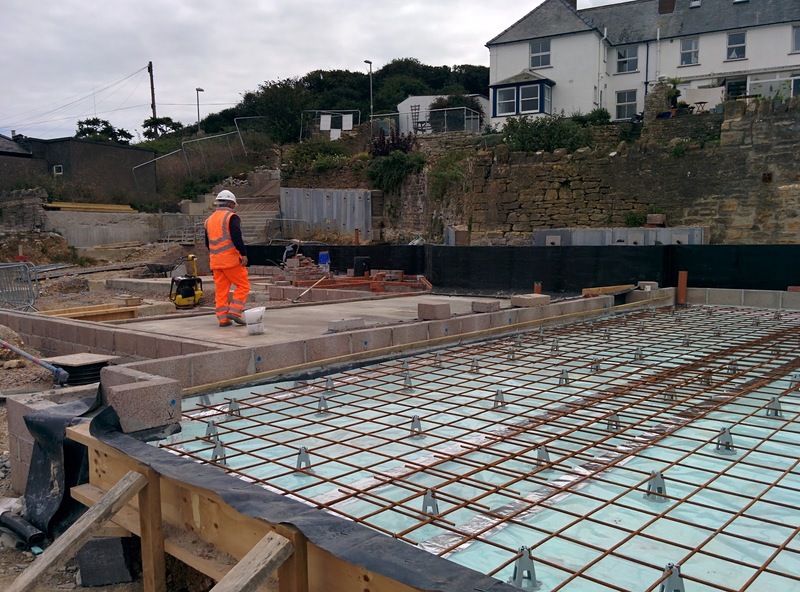 ‘There has been a huge amount of work ongoing on site, and the building is now finally starting to take shape as the above ground structure becomes more visible. Most of the work already undertaken has been underground to stabilize the area in order to provide solid foundations for the new station and slipway, as well as enhancing the supporting wall at the rear of the site that adjoins residential gardens. 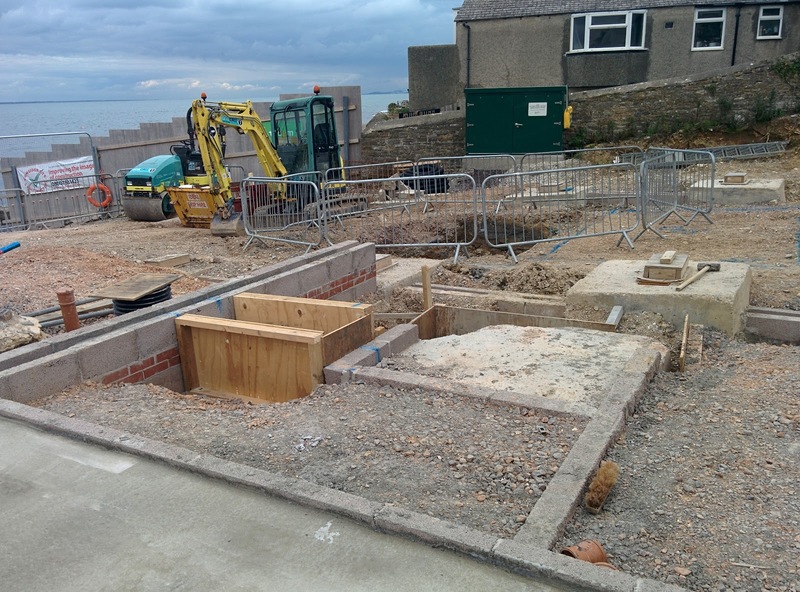 ‘Stone reclaimed from the old boathouse is being laid for the lower part of what will be the external wall of Angling Club. 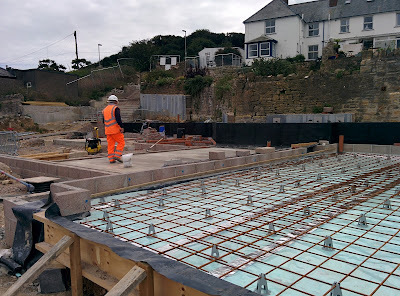 Reinforcing mesh has been laid in preparation for the floor of the inshore lifeboat hall. Its been some time since we last posted some photos. A lot has been going on at the site but most of it has been under the ground and virtually impossible to photograph. The building is now starting to take shape and is emerging from the ground. 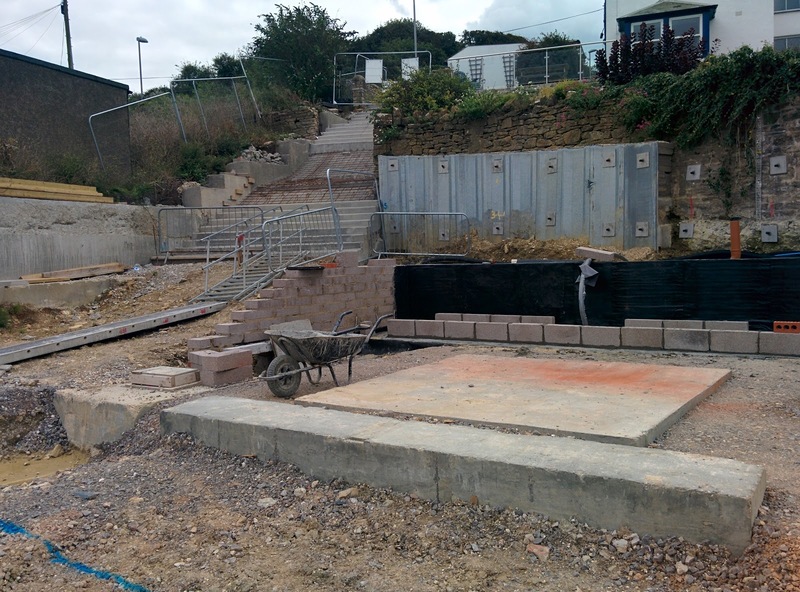 Stone reclaimed from the old boathouse being laid for the lower part of the Angling Club external wall. 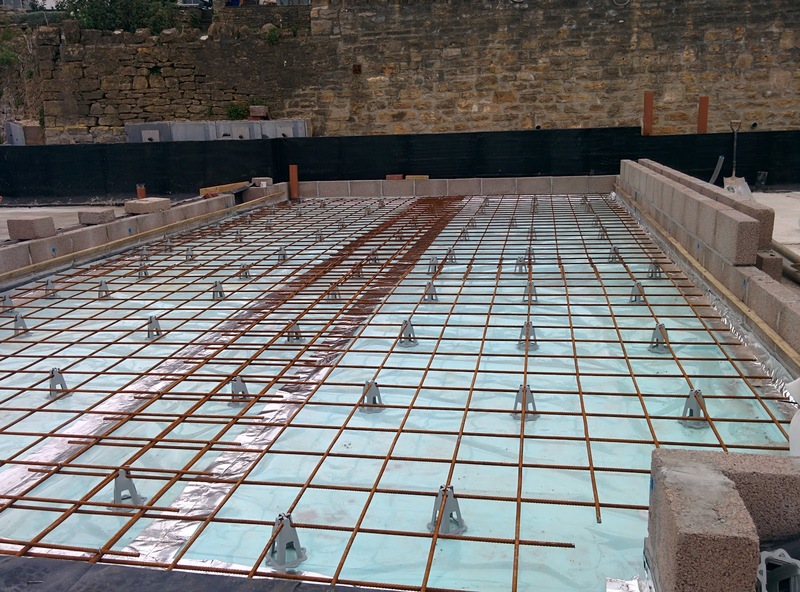 The reinforcing mesh ready in place for the floor of the ILB boat hall to be poured next week. 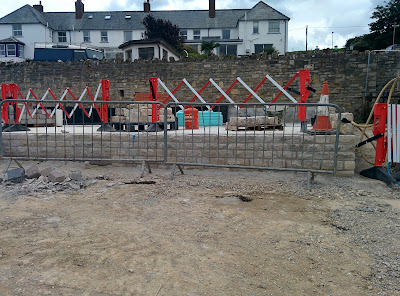 The view across the ILB boat hall towards the changing room. 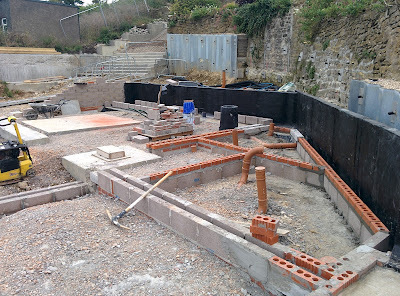 This area will become a shower & 2 toilets in time. 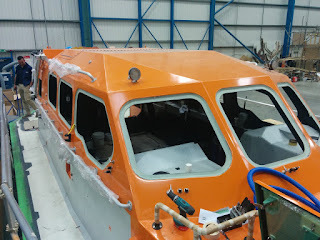 This is the hallway leading from the changing room to the ALB boat hall. This is the front entrance. 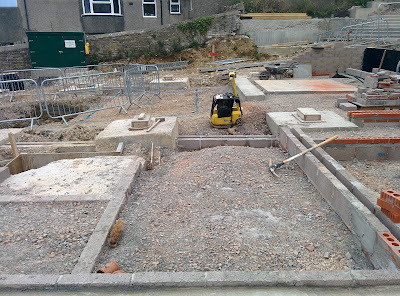 The wooden area will be the bottom of the stairs, the square concrete area is the lift shaft. 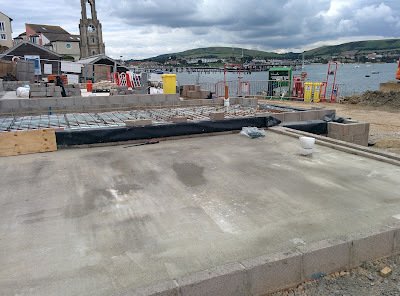 Looking back across the changing room towards the ILB boat hall. The concrete pad for the ALB winch and the new steps to the top road behind. 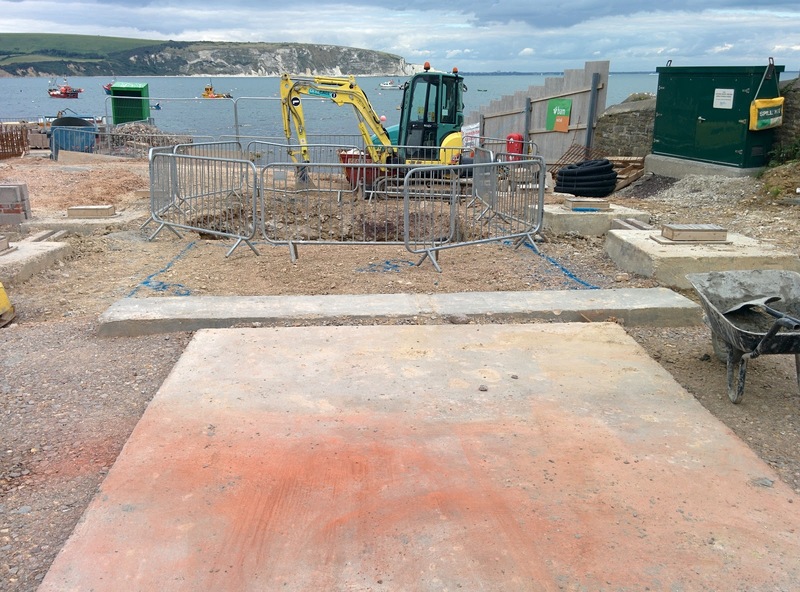 Looking down the ALB boat hall over the winch base. 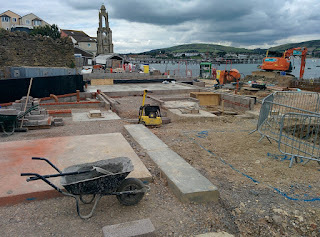 Looking down over the site. 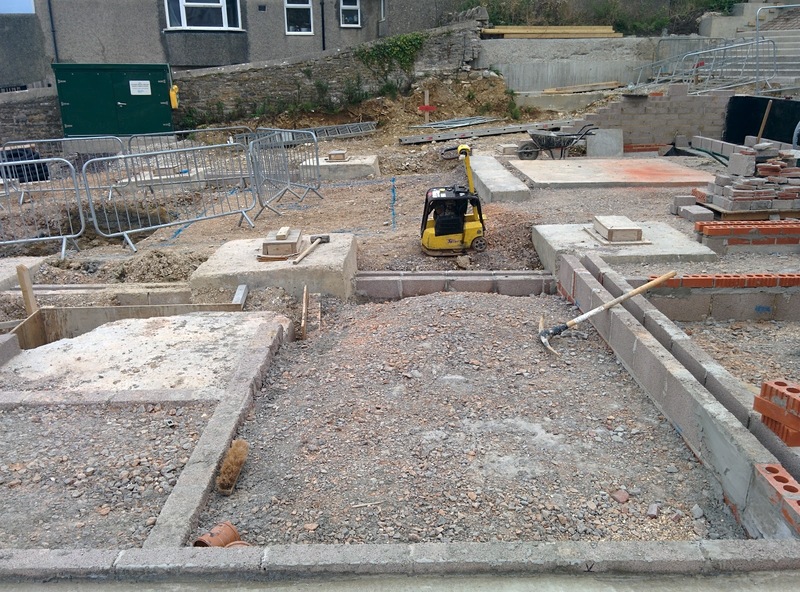 The hole by the yellow digger is for the pumps for the wash down water. The water tanks will be between there and the winch base in a separate pit.